Pumaspeed are now happy to release a limited batch of the new Ford Focus RS Mk3 Single Scroll Turbo Starter kit. This kit has been designed around a very unique Stainless Steel Cast elbow that simply bolts directly onto the twin port head and exits into the new Garrett Externally Wastegated Exhaust Housing. GTX2867R Gen II GTX3071R Gen II GTX3076r Gen II. 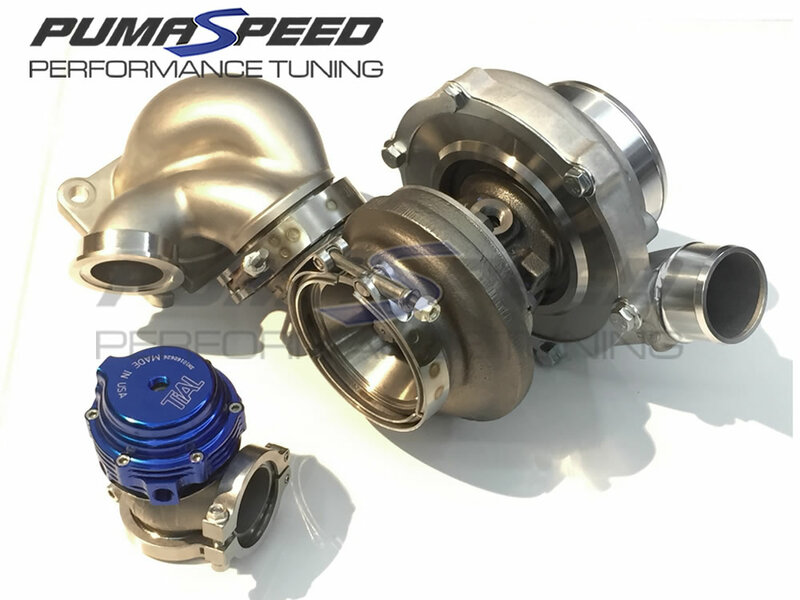 Pumaspeed have a specialist distribution team that can dispatch the Focus RS Mk3 GTX3071R External Wastegate Turbo Kit to any destination worldwide.